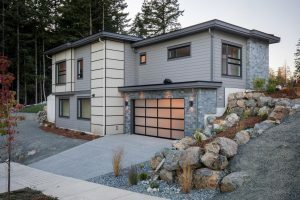 This home is currently for sale! 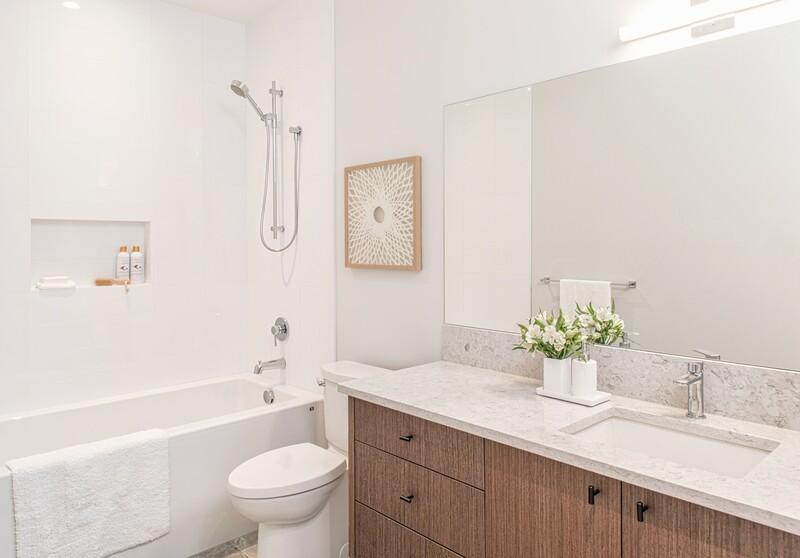 Click here to view the listing! 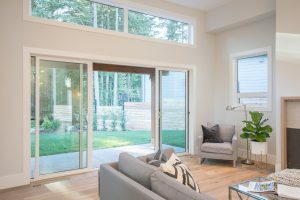 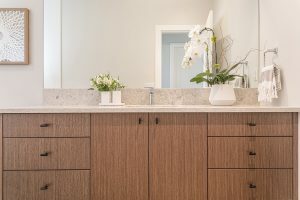 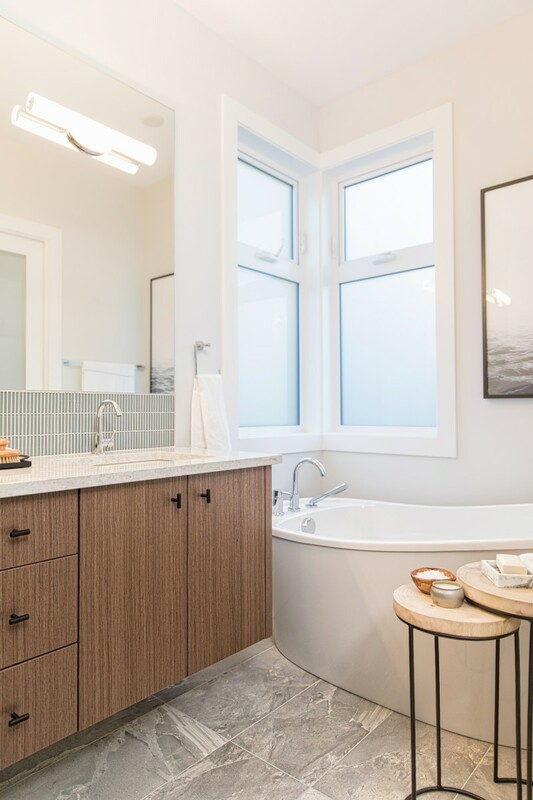 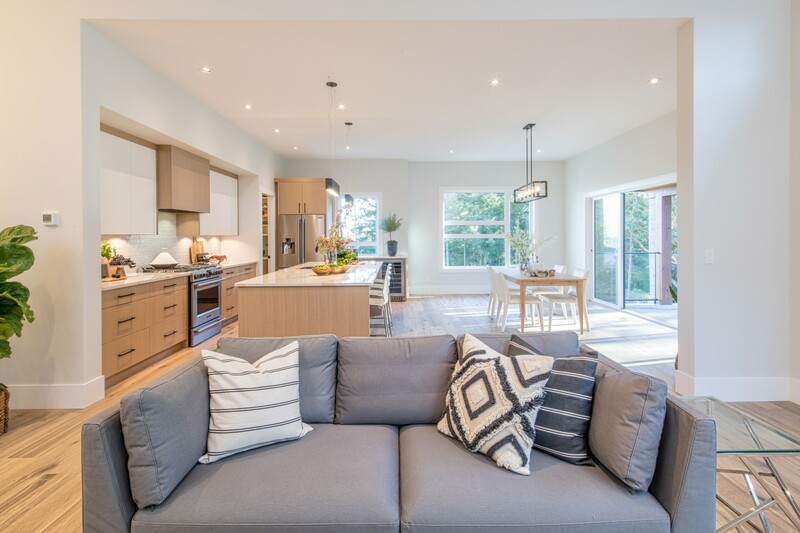 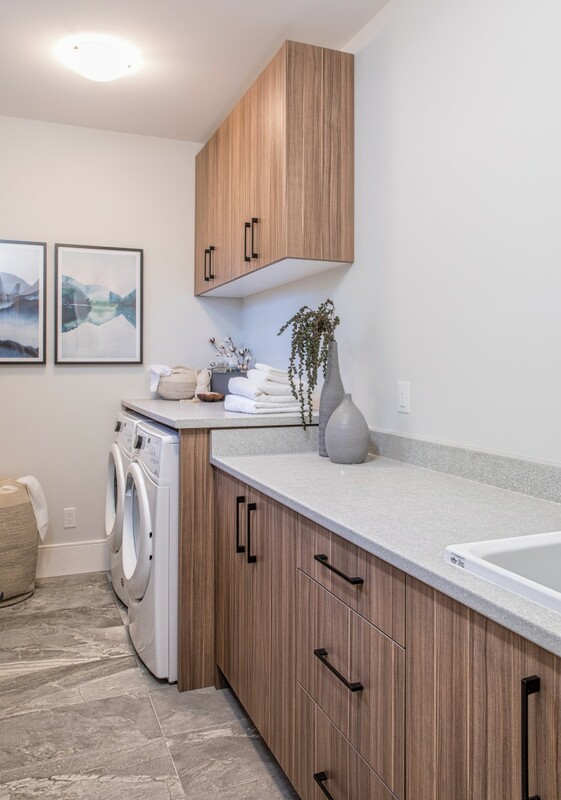 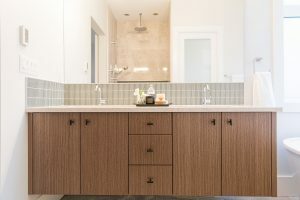 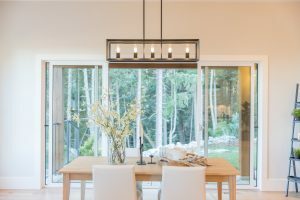 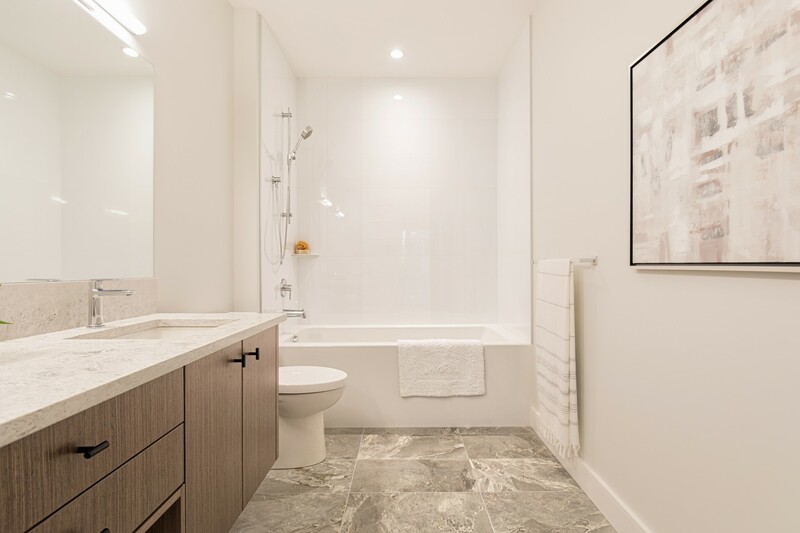 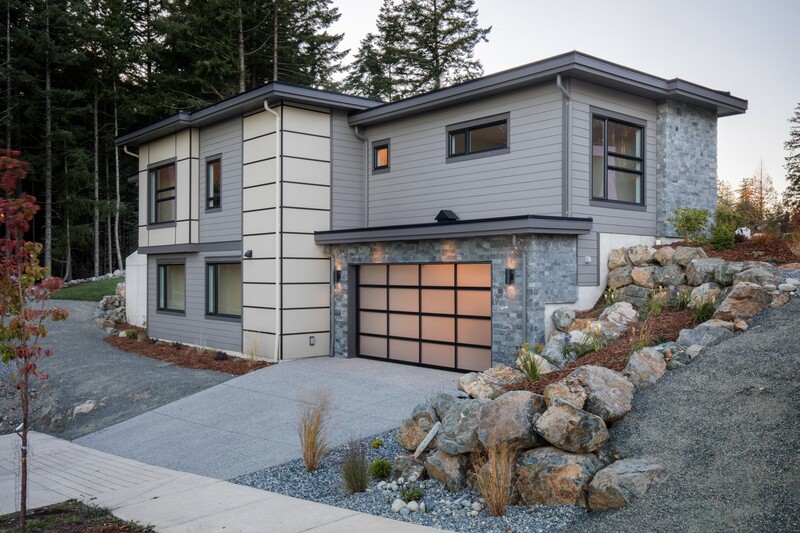 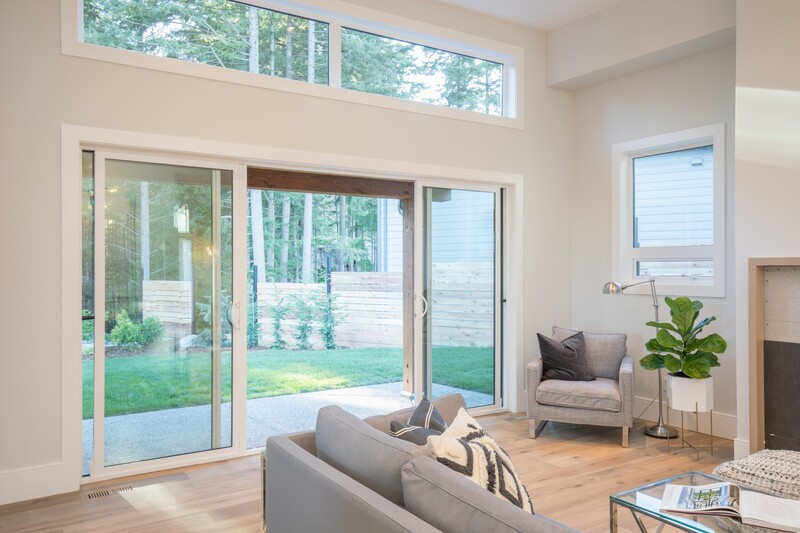 As a part of The Ridge development, this beautifully designed home on Glen Oaks Drive in North Nanaimo combines modern design with a premier utilization of the natural environment. 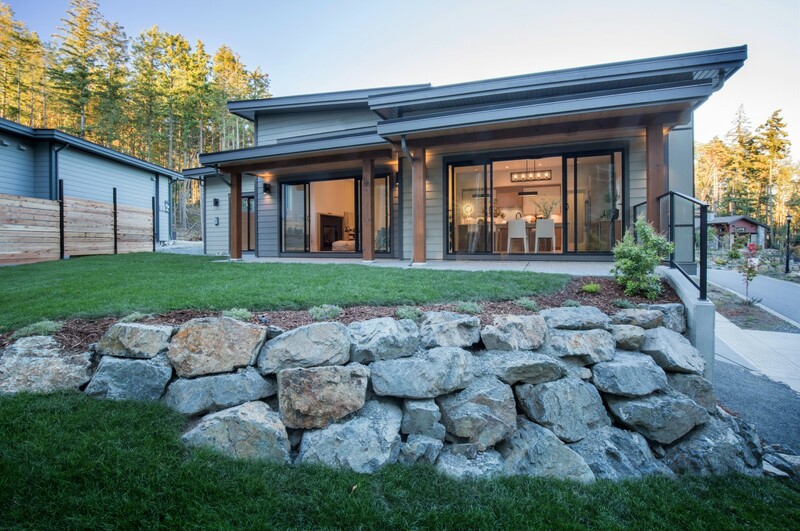 The exterior of this home takes many styles, including wood and rock, and presents them in an aesthetically pleasing manner that fits perfectly in its location. 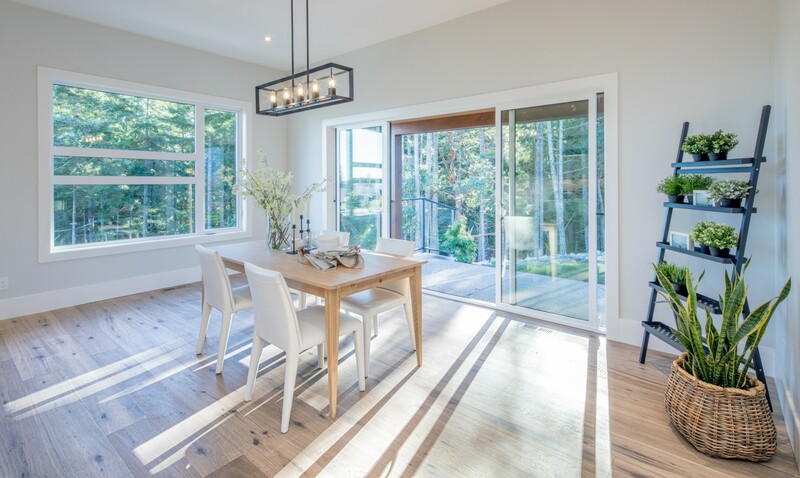 Fully aware it is overlooking nearby forests, the backyard is accessed by multiple large patio doors opening to a quiet, landscaped backyard. 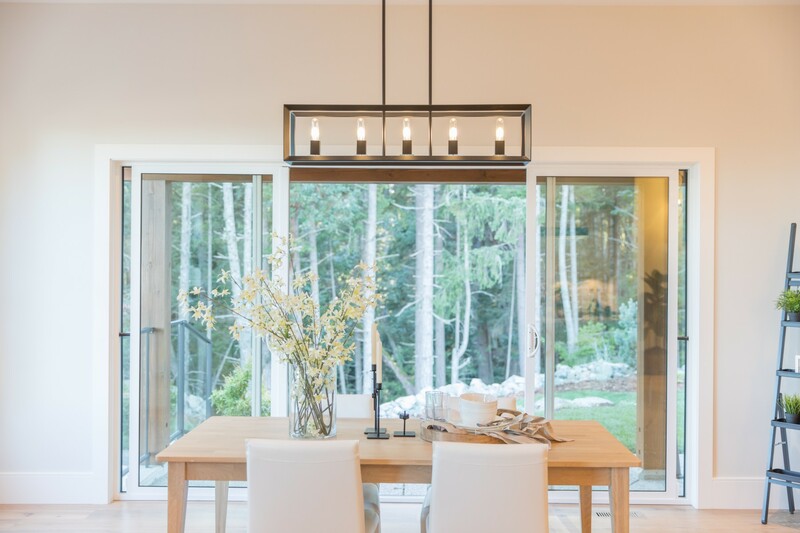 Inside, the use of large windows and interior lighting create a bright, warm, and welcoming atmosphere. 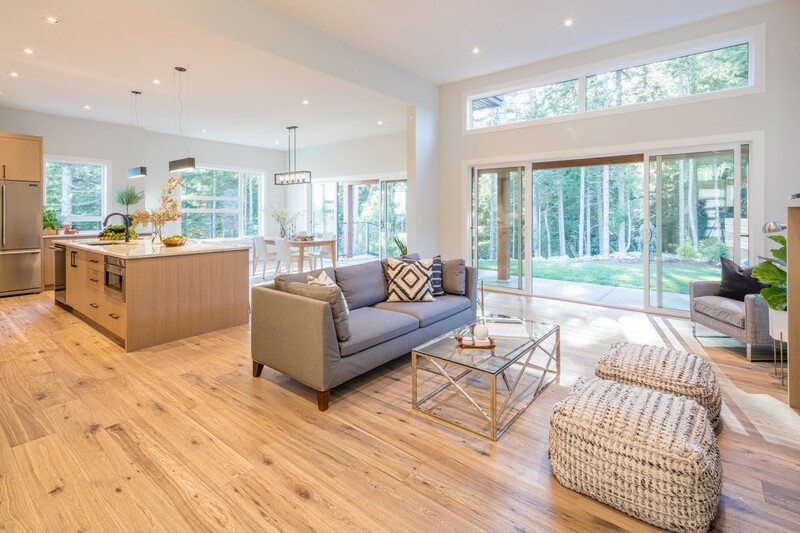 The open floorplan and patio access create an ideal location for entertaining! 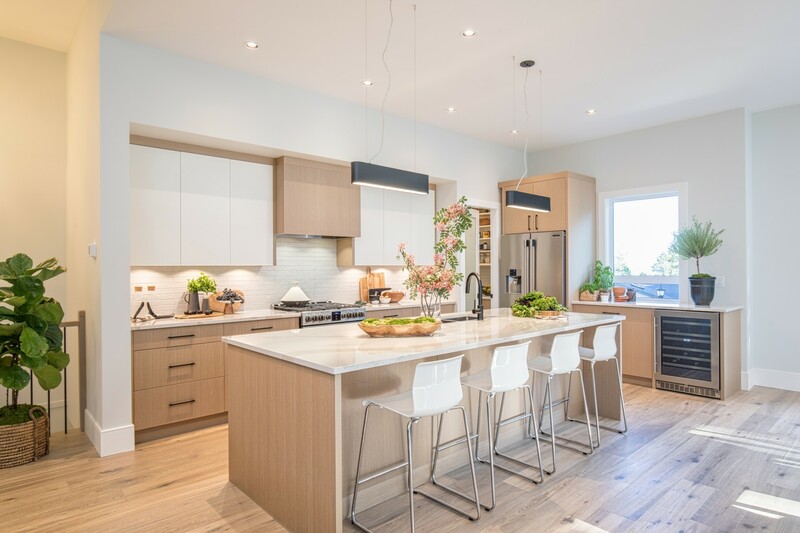 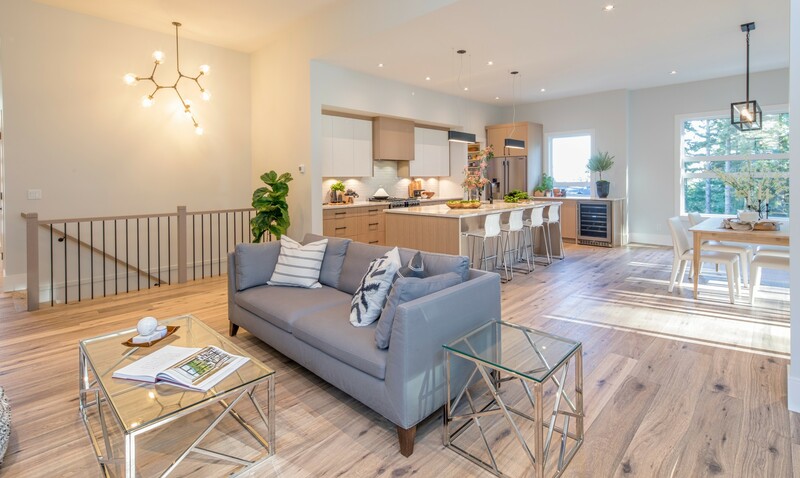 Fully stocked with stainless steel appliances and an island looking out into the backyard, the kitchen is functional and appealing with its light colour palette. 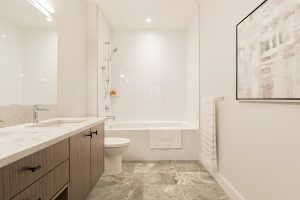 Interior Design by: RG Design Studio Inc. 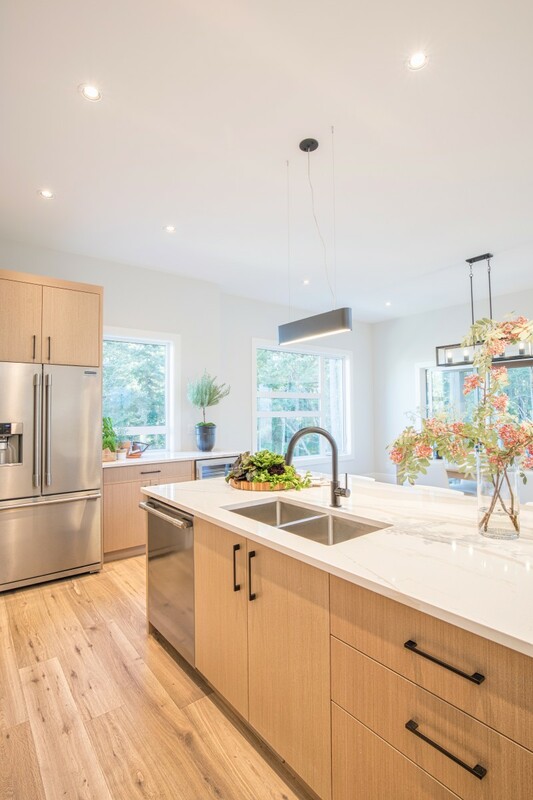 This house has been featured on Houzz as Kitchen of the Week!